As of today, it has been announced that construction workers in Sacramento, California are being monitored by drones as they build the new stadium for the Sacramento Kings. This is being done in an effort to track the efficiency of workers and find solutions for the issues that are stalling productivity. The drones will work by taking daily videos and turning them into 3D images for software analyzation. 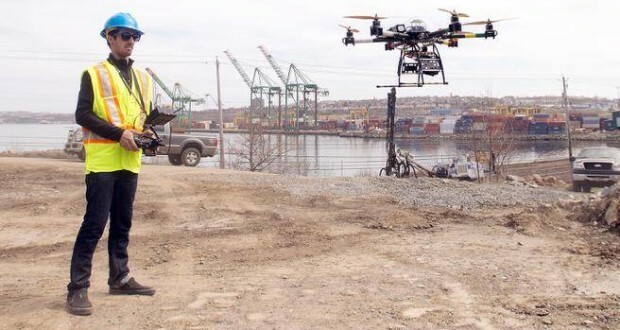 The drones used during this project are provided by the Image In Flight company. At 500 feet above the ground, their drones only fly outside during the daytime, and can get up to 100 mph. Their technology can also provide a maximum of 4,000 images at 30 fps (frames per second), the image quality caps at 12 megapixels, and the battery life runs between 15 to 20 minutes per flight. Anyone who takes these facts into deep consideration can easily realize that these stats are pretty incredible. Along with construction, Image In Flight drones can also be used to capture footage of commercial and residential property. With unique aerial views, realtors can market properties more easily by showing their most valuable qualities that make them worth purchasing. Operating in San Francisco, Oakland, and Sacramento, California, the company has a high regard for drone regulation laws to make sure their clients are legally covered as well. Opening in 2016, this stadium is sure to draw in large crowds. The Kings are a California staple and the basketball team has no shortage of fans both in state and out. With so much riding on this establishment, it’s important to be timely, and for so many different contractors to work together smoothly through strong communication and understanding. Drones can help them to do just that. Guy Builds an Awesome Drone Machine Gun! Passenger Drone to Fly in Dubai?